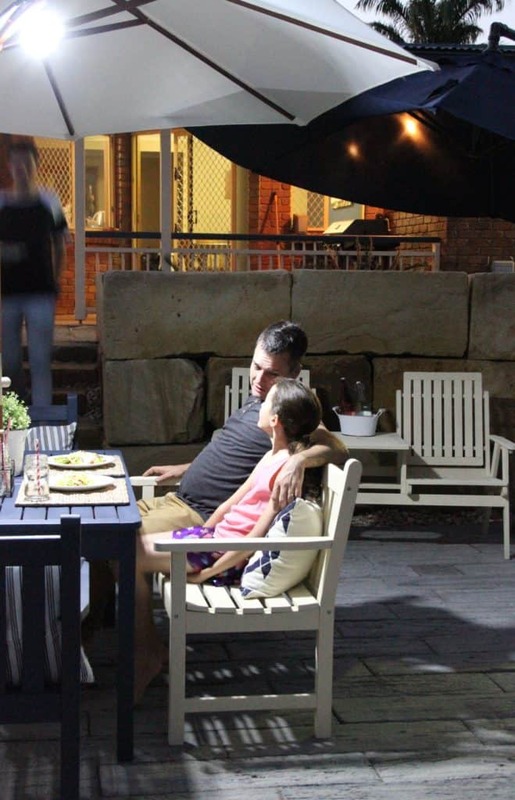 Well, Spring is most certainly here in Australia, and here in Queensland, we’re experiencing sunny days and beautiful breezes, and have even witnessed a few storms lately in the south east. 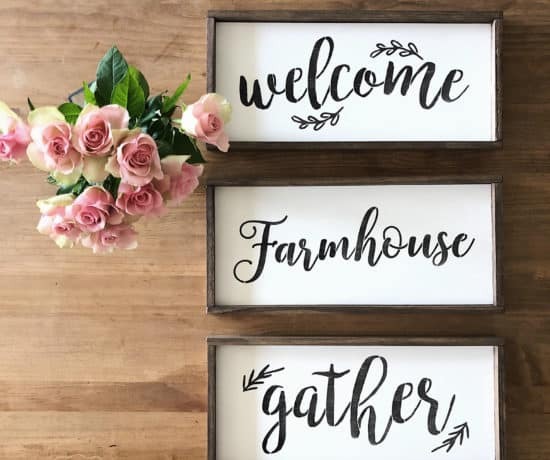 Today I thought I’d do a roundup of some of my favourite Spring blog posts over the years, to maybe inspire you in your own home makeover projects this Spring – or Fall, if you are in the Northern Hemisphere! 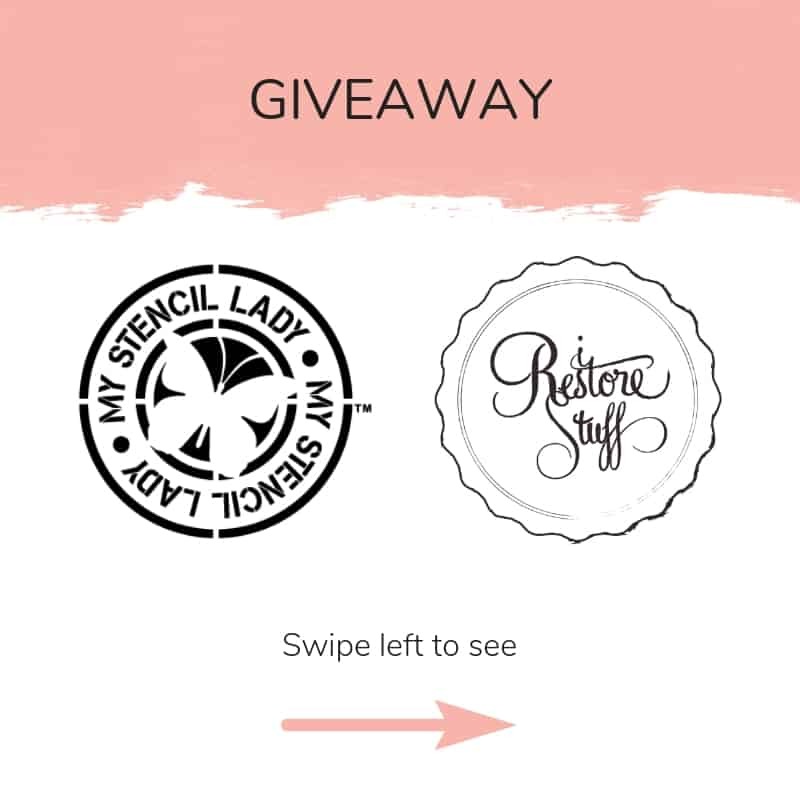 But, before I forget, this week over on Instagram I am collaborating with My Stencil Lady for a HUGE GIVEAWAY worth over $236.95! 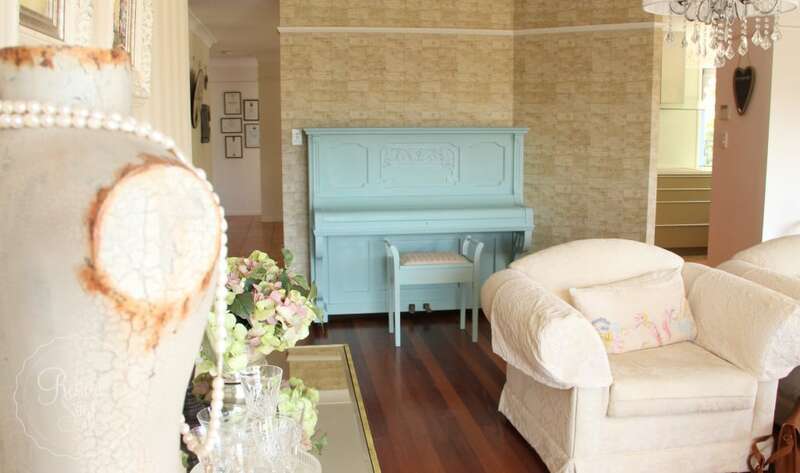 Do you have an old dated piano that needs sprucing up? 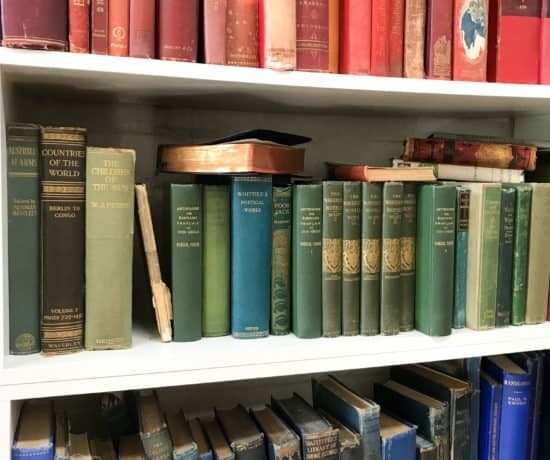 Or maybe you’ve come across them on Facebook marketplace once in a while and been tempted to bring one home for a little makeover? Let me tell you, this was a fun project to do, even though it wasn’t my own, I enjoyed the lift that it gave my client’s home and it gives a beautiful peaceful pop of colour for the home in Spring. Click the image below or HERE for the full post on how I painted this piano with Miss Mustard Seed’s Milk Paint in the colour, Eulalie’s Sky. 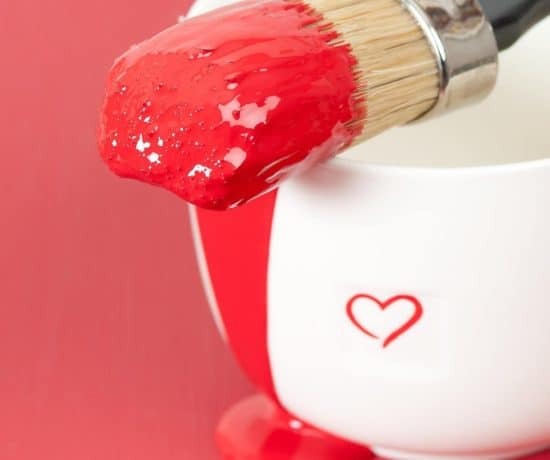 Another fun way to add a new look to your home this Spring is to change up your outdoor setting! 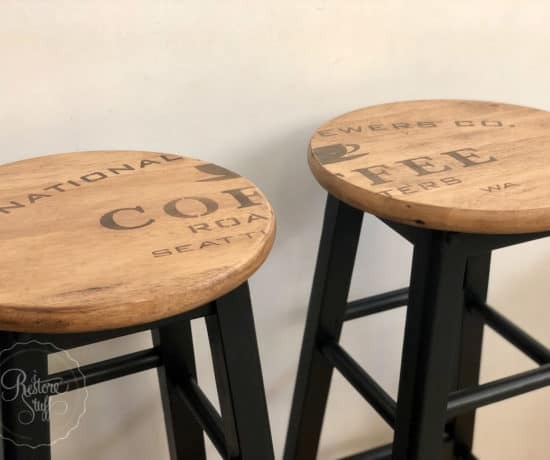 Our wooden table and seats were looking quite worn and weary, so I teamed up with Dulux to give them a new lease of life and to match in with our external colours. 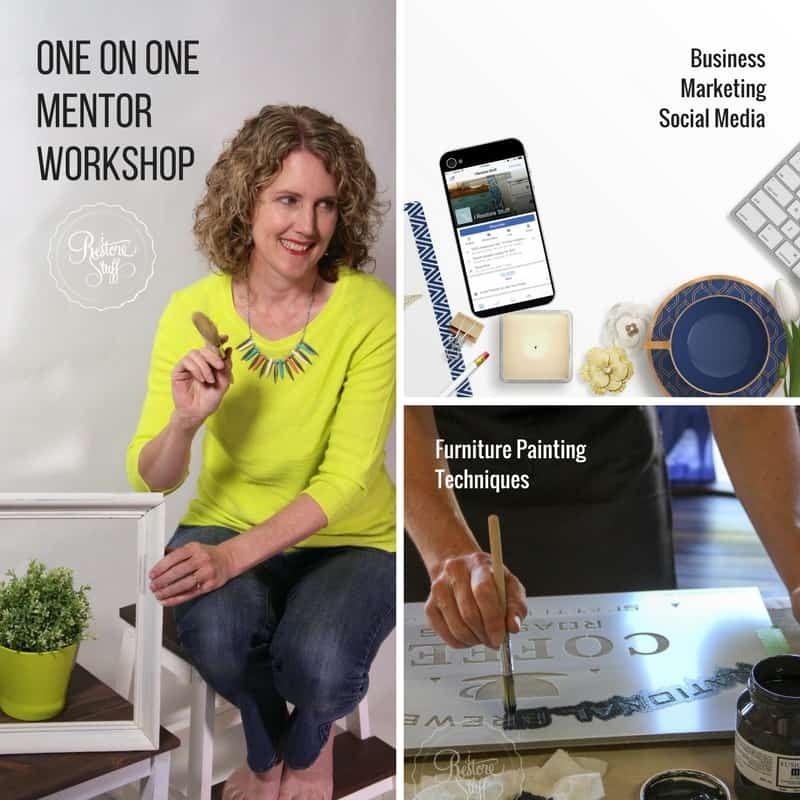 Here is the full post on this outdoor setting makeover and the sprayer that I used, or click the image below. If you’re looking for a quality paint sprayer, I have tried the Wagner brand a few times and found them great to use. One way to update the look of a room is to add some foliage – I’m loving the look of the large leaf plants that are on trend this season. 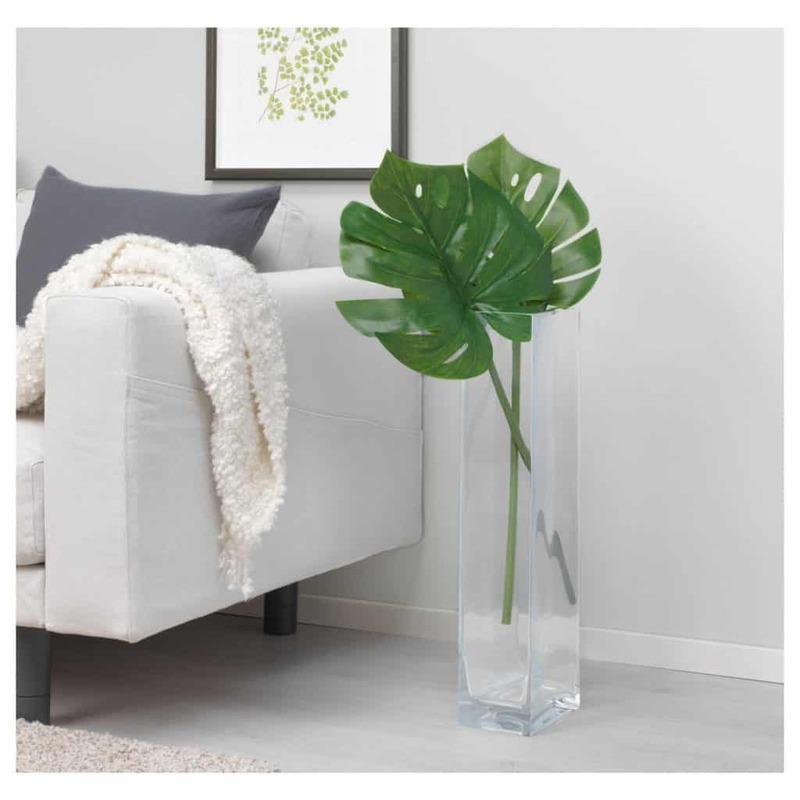 If you are anything like me and find the REAL plants hard to keep alive – we bought a few of these artificial leaves from our local IKEA that look great in a tall vase or pot in a living area or bedroom. 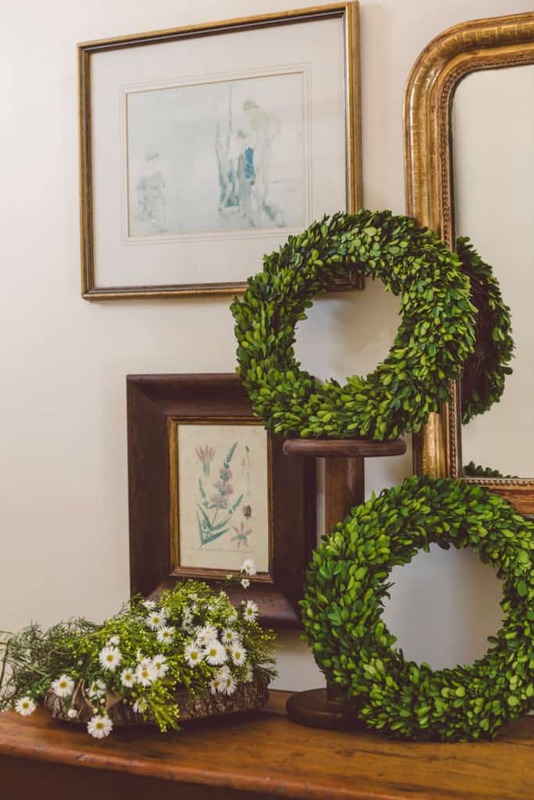 A preserved Boxwood Wreath is also a great way to add some Springtime to your living spaces – these are a year round decor item, so you don’t have to just think Christmas. 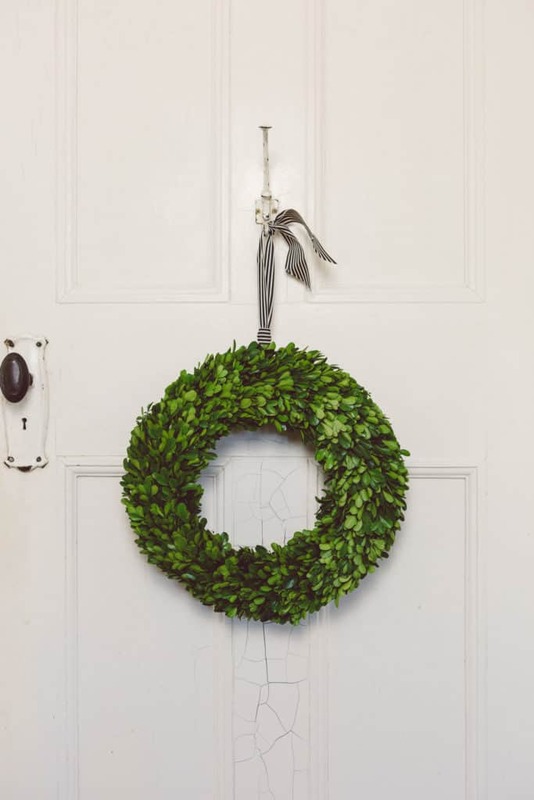 How gorgeous they look with some added twinkling lights or just hanging from a wreath hook over a rustic door! 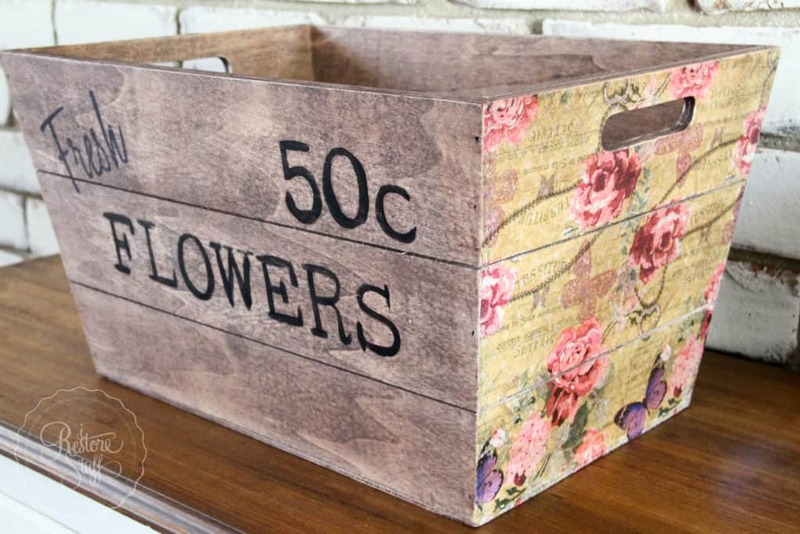 We actually cover this in one of our Workshops – Decorative Finishes – where we create a fun look on a crate or box using napkins. 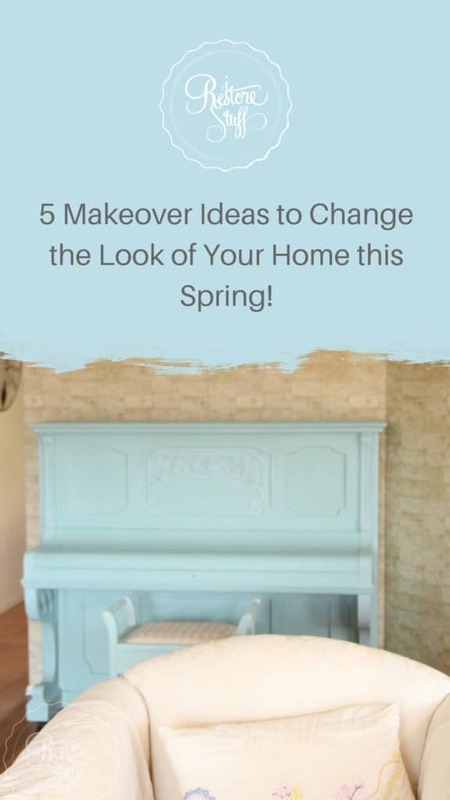 This is a look you can try on any furniture – think drawer fronts or top of a side table or coffee table. Or use for the background of signs. Here’s the full tutorial on how to use napkins to decoupage, including a fun Beach Sign I created while I was at it. 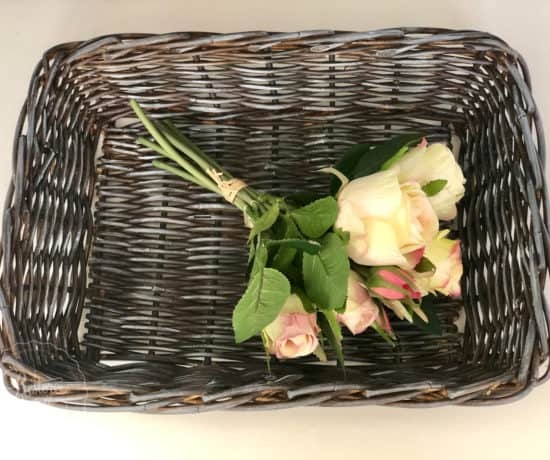 (Click image below) I kinda wished I’d filled this box with beautiful flowers for the picture! 5. 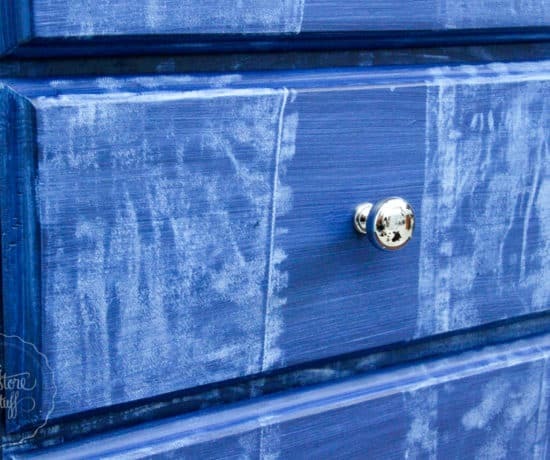 Just grab an old piece of Furniture and Paint it! Come on … you know you want to! 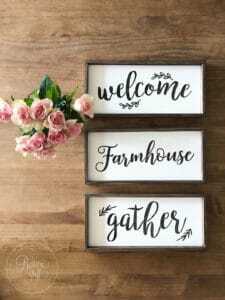 It’s Spring – the season of Garage Sales, Swap Meets, and everyone is de-cluttering so you KNOW the charity stores will be overflowing with goodies. 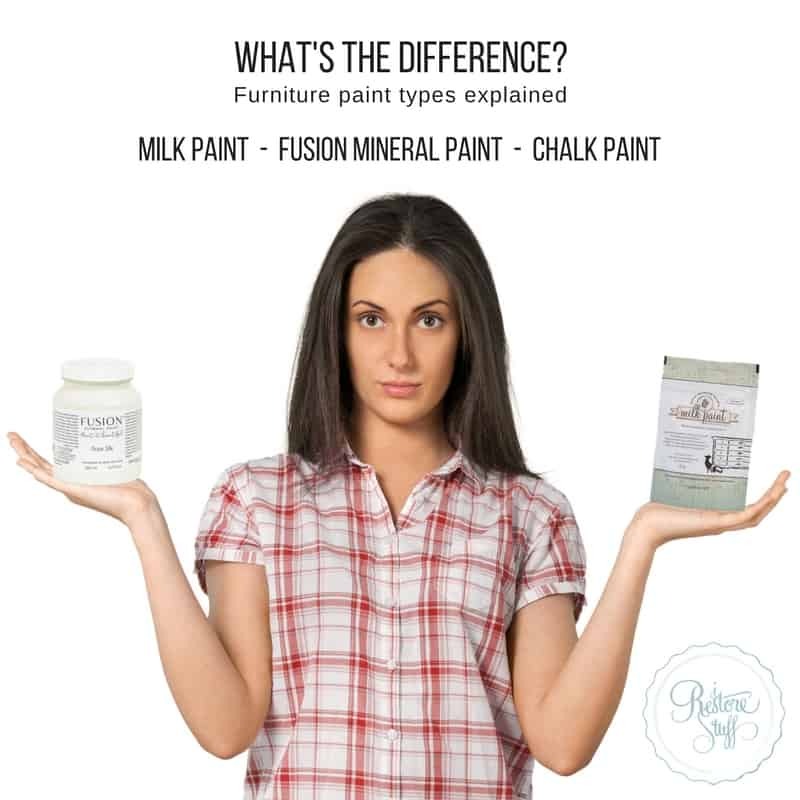 So get on out there and find a piece that might need a new home in your own home and use some of the beautiful paint colours available, to give your home a lift this season! 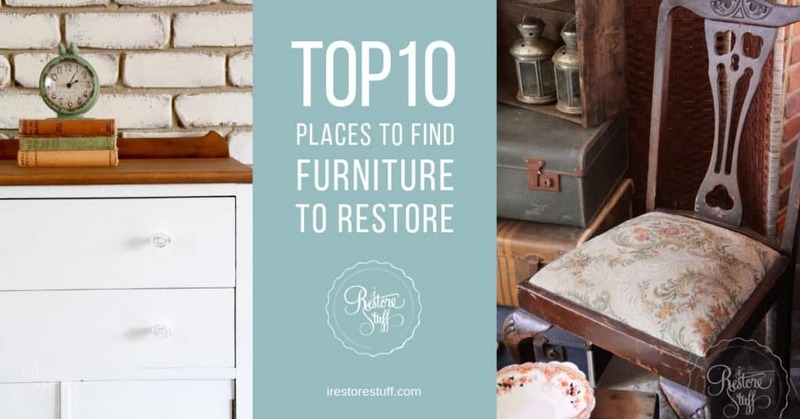 Here is a link to one of my most popular posts – Top 10 Places to Find Furniture to Restore – to help you get started if you are looking for more places to find new treasures! 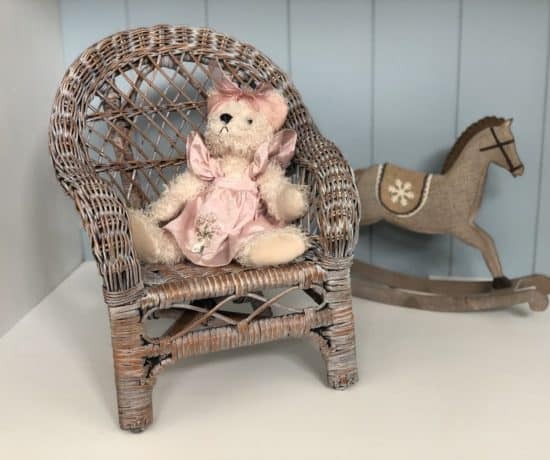 Melbourne Trip Part 2 – Bathing Boxes & Antique Store!